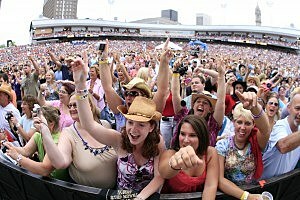 What artists are coming to Taste of Country? What country acts will come to Darien Lake this summer? When is the Erie County Fair and who will be there? When are tickets to your favorite country concerts going onsale and how can you get in on presales and ticket giveaways with WYRK? Stay up-to-date on Buffalo and Western New York's Country News by subscribing to the WYRK Newsletter! That's where we'll send out information on the best concerts, pre-sales and more.